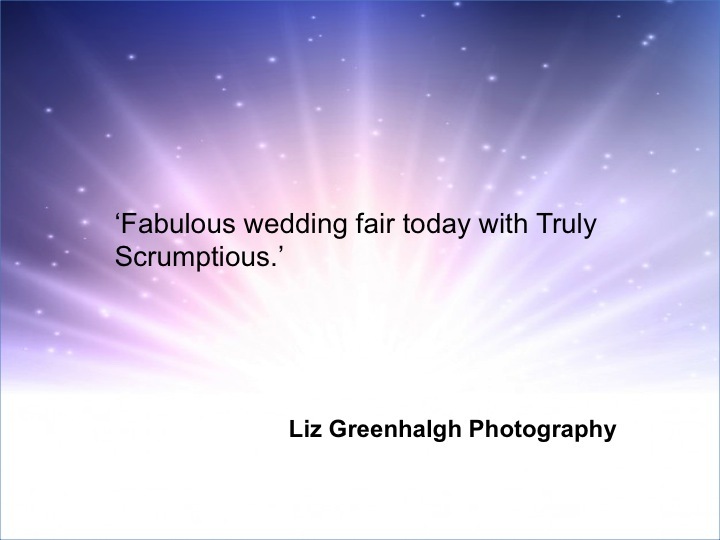 Truly Scrumptious manage successful, well attended shows and events throughout Cambridgeshire, Lincolnshire and are constantly told our wedding shows are some of the most professionally managed and friendliest shows in the county and we'd like to welcome and invite you to exhibit with us. 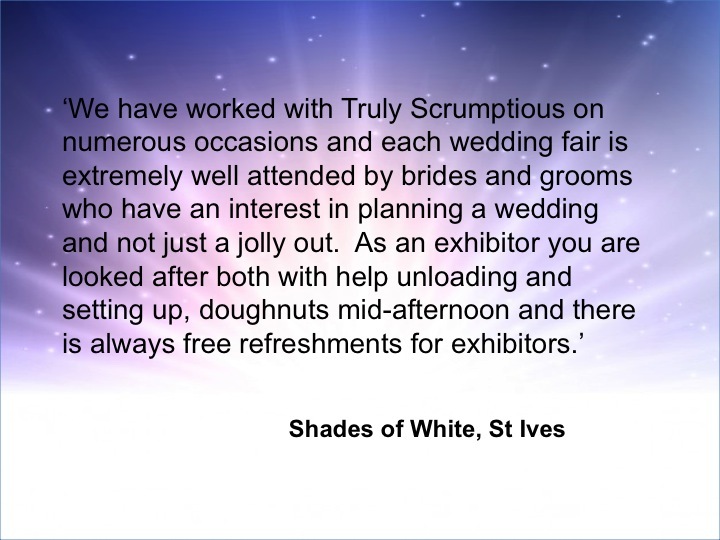 Unlike many wedding fair companies we will NOT flood a show with lots of the same thing but carefully manage categories to ensure couples have a good choice whilst ensuring we are fair to exhibitors. Consequently as part of this policy categories do fill quickly so it's always worth confirming we have availability before completing an application form, either telephone 07788 931633 or email info@truly-scrumptious-weddings.co.uk. Larger space (3m x 3m) available on request. Larger outdoor space available on request for trailer, etc, please email info@truly-scrumptious-weddings.co.uk or telephone 07788 931633 for pricing. 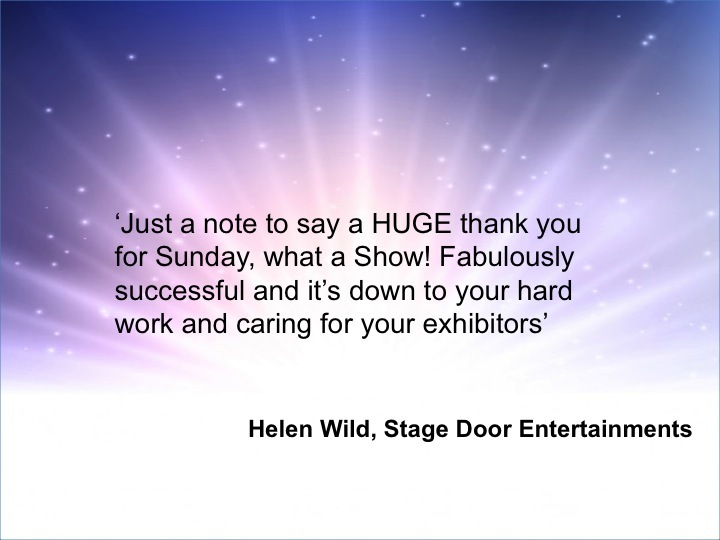 Are you applying to exhibit at a show or be included as a Recommended Supplier in the Celebrations App? 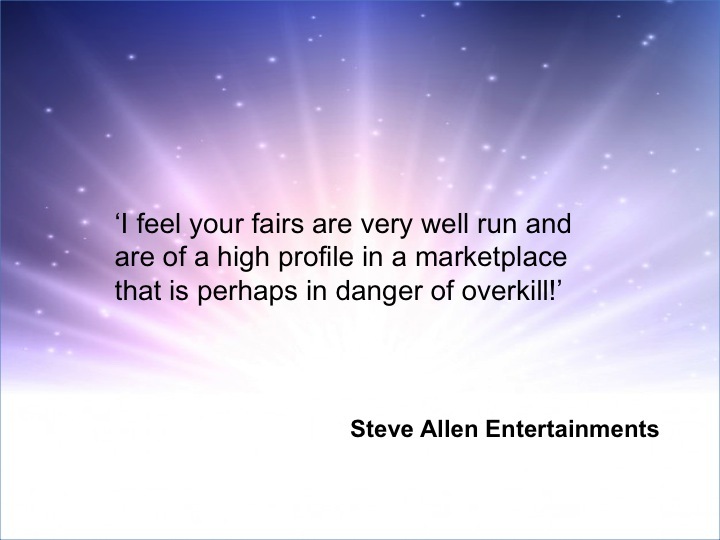 All exhibitors are required to sign the Terms & Conditions once per year which covers all shows attended during the year. If you've never exhibited with Truly Scrumptious previously you will need to complete an Application Form to apply. 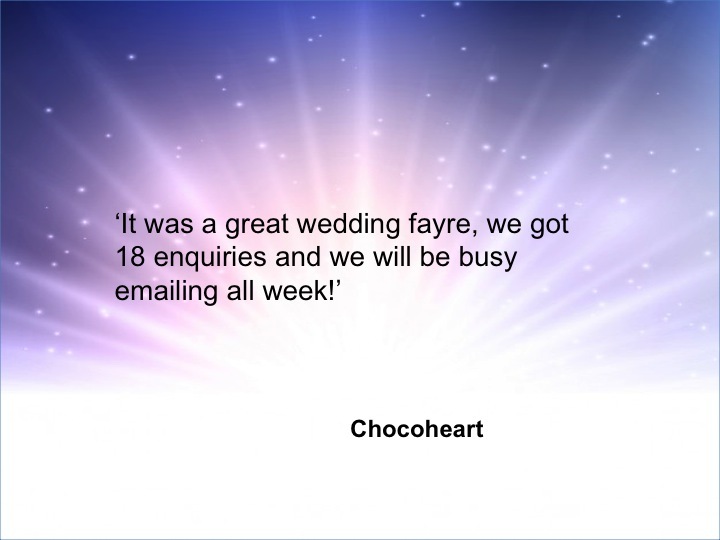 If you have exhibited previously you are not required to complete another Application Form, just send an email to info@truly-scrumptious-weddings.co.uk and we'll get you booked in. On completion of a satisfaction application we will raise an invoice for payment. We have an excellent reputation locally with many brides and suppliers aware of the Truly Scrumptious brand and a high profile on social media with over 3200 likes! Why not follow us on twitter and Instagram like us on Facebook.